Experimenting in the kitchen is a hobby that has grown to be a huge love of mine as well as a daily part of my life that I adore. I spend more time in my kitchen than any other room in my house. One thing that everyone in my house can agree upon having a love for is Caramel. Whether it’s caramel coffee, caramel ice cream, caramel baked goods or caramel sauce, we all adore it. It’s rare in my family for us all to love something! 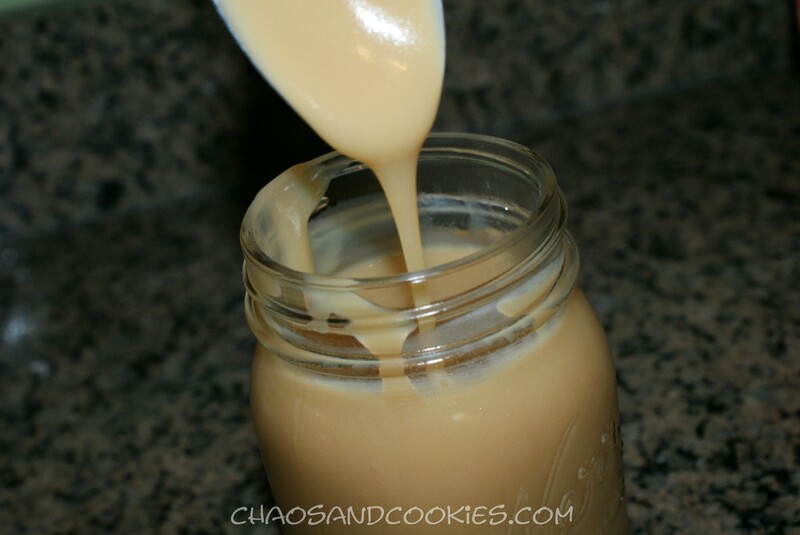 One way I can get my kids to drink milk is by adding caramel sauce to it. I recently decided to try and make my own caramel sauce to see how it compared. I figured it would store in the fridge for a period of time and we could use it for multiple uses. It was a good attempt and I was very happy with this sauce and it will now be my go to sauce when we want caramel. Who needs the store bought when you can make a large jar of it in your very own kitchen? Almost everything made in your own kitchen can taste better than anything you can buy pre-made! 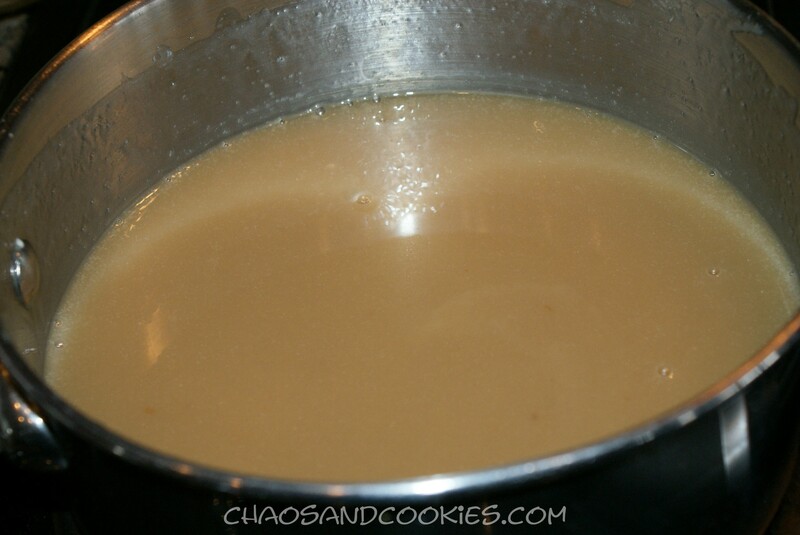 Here is my recipe for my caramel sauce, I hope you enjoy it! 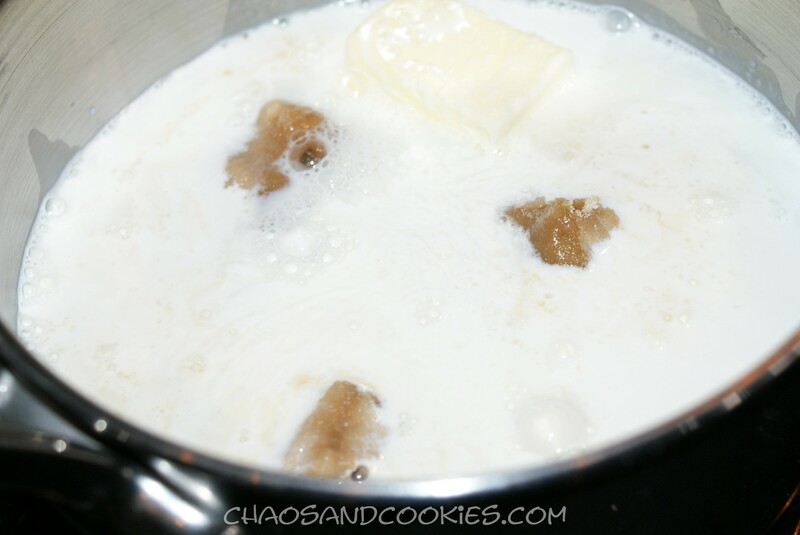 In a saucepan add all your ingredients except for the vanilla extract. Heat on medium low heat, whisking consistently for about 10 minutes. Turn heat up to medium-high and bring to a boil making sure to stir constantly. As soon as you reach a boil, reduce heat to medium low again. The sauce will start to thicken and you want to continue whisking constantly. When sauce thickens add your vanilla extract and mix well. Remove from heat and cool. 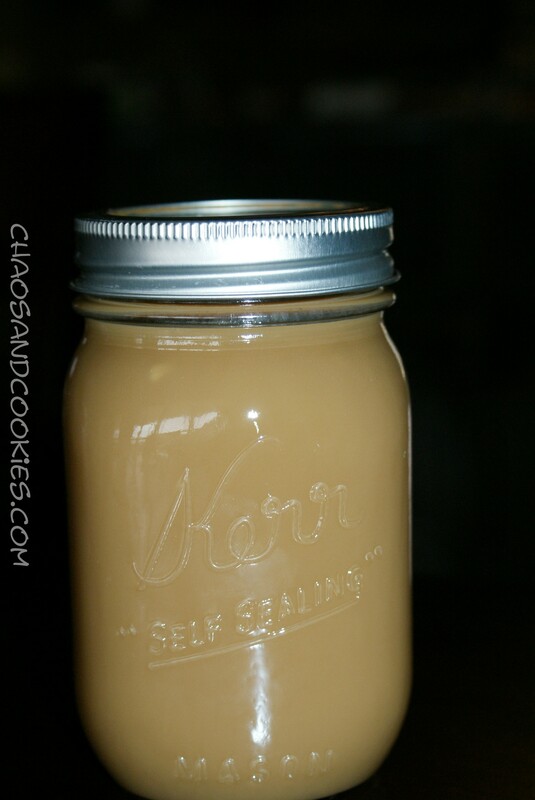 When caramel cools (it can still be a little warm) pour into a jar and seal. You will have nice homemade caramel for multiple uses that will last for a long time, well the shelf life will, but I doubt it will last long after you taste it! 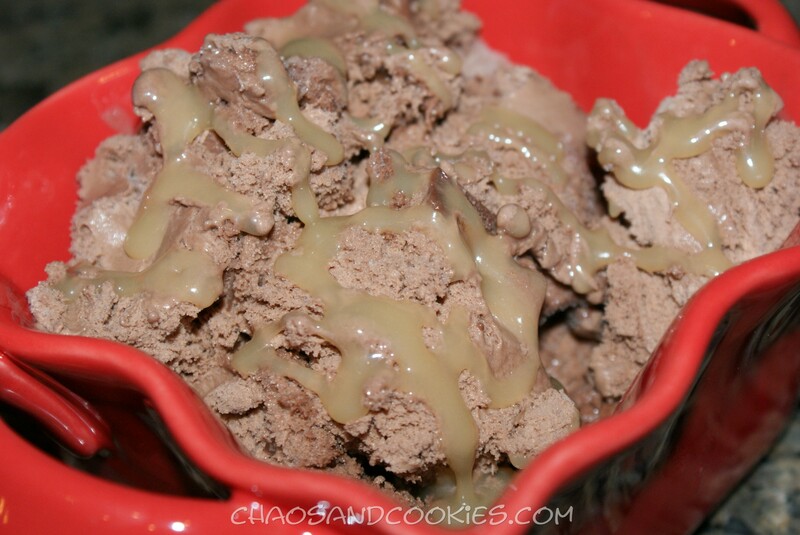 The other night I drizzled some over my Kemp’s Peanut Butter Cup frozen yogurt, SO GOOD! Enjoy!! 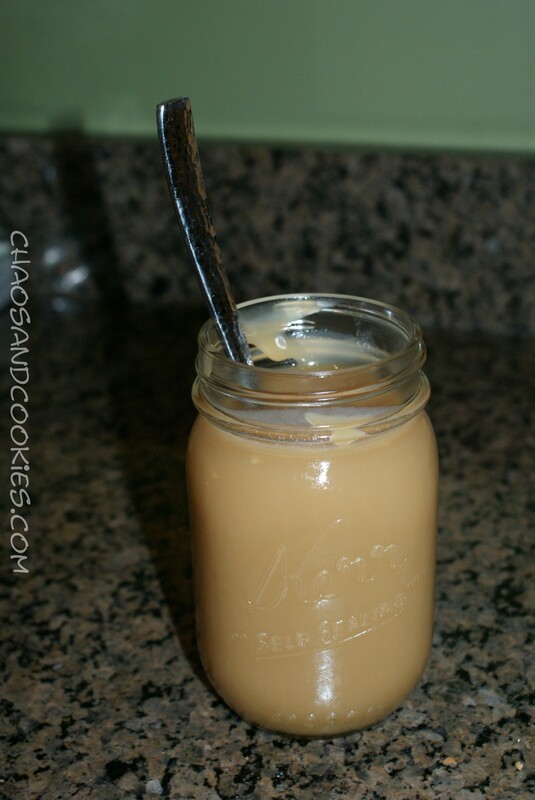 Nothing beats a good home made caramel sauce – yum! You are SO right!! Thanks for stopping by and commenting! There’s no comparison to home-made, is there! You are so right! I have discovered that is the case with many and most things! This was golden deliciousness!